The Bradninch Refugee Support Group is planning to hold a further three collections for good quality clothes, food and toiletries. These will be on Saturdays, September 8th, 15th and 22nd from 10.0am–12noon in St Disen’s Hall. Support has been amazing in the past— keep it going!!! Our 4th Wednesday coffee mornings are proving very successful, so we have decided to extend them. 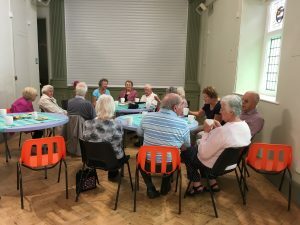 The VERY informal, and free, coffee mornings will now be held on the 2nd and 4th Wednesdays of each month, from 10.30 –12noon. Do please come and join us! 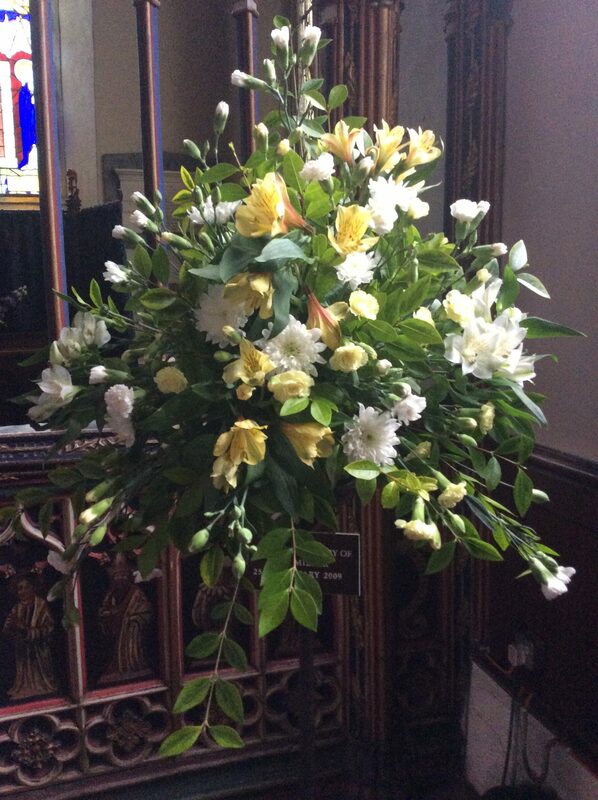 Beautiful flower arrangements in church this week. Thank you, Sue Stanbury and Hazel Excell. If anyone would like to join the flower-arranging group, please contact Dorothy Parsons on 01392 881766. And, to mark the end of Gift Week we are holding a Thank you Tea at 4.00pm on Sunday 9th September. All welcome. Knit & Natter returns on Tuesday 18th September from 2.00 – 4.00pm in St Disen’s Church Hall. Help is available with your knitting and crochet if you need it, but please bring along any craft. Light refreshments served. A most successful coffee morning was held on 2nd August to coincide with the annual opening of the collection boxes. A grand total of £911.50 has been raised this year. A big thank you to everyone – all that loose change adds up! 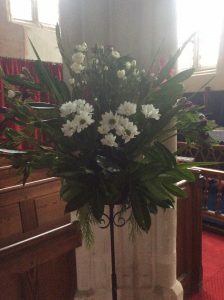 Thank you to all who supported our recent coffee mornings in aid of our organ fund and the Childrens Society which between them raised some £400. But coffee mornings aren’t all about making money. They’re about meeting and making friends over a cup of coffee (or tea). So why not come and join us at our next Coffee Morning on Wednesday 22nd August at 10.00am in the Church Hall.